This bond is also known as a Farm Contractor, Farm Labor, or Migrant Worker Surety Bond. In many states, including California, you are legally required to carry a Farm Labor Contractor Bond if you run a farm labor contracting company. This bond is a guarantee that you will abide by the laws and regulations in place regarding the handling of contract and/or migratory workers and their services. South Coast Surety works with a variety of credit scores. Our agents will work with you to find a competitive price for your California Farm Labor Contractor Surety Bond, and are available now to begin your bonding process. This bond is NOT a form of insurance for you, the bondholder – it is a protective measure for your clients (contract workers) in the event that you violate laws pertaining to their payment or labor rights. In the event that there is a claim filed against your bond, you will be required to submit all relevant documentation to your surety company, and if you are found to have violated the terms of your bond, your surety bond will repay the damaged parties. If your surety makes any payments to damaged parties, you will then be obligated to repay the full amount to your surety company, in addition to any fees. Your surety company may revoke your surety bond, which will effect your ability to continue operating with your license. It is extremely important that you understand all laws and regulations regarding labor contracting in California, and comply with them in full. If you are looking for a different surety bond for the state of California, you can use the search bar above or browse all of our California Surety Bonds. 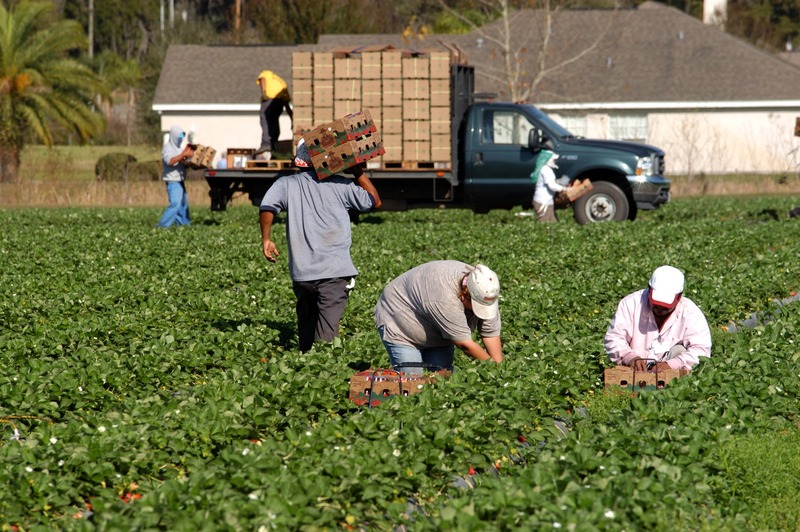 Your Farm Labor Contractor Bond is a guarantee that you understand and agree to comply with all laws and regulations governing your business through the California Labor Code. In the event that you do not adequately comply with these regulations, your clients (often migratory workers who you act as a contracting intermediary for) will be compensated by your surety company. In this event, you will be required to repay your surety in full, including any fees, and may lose your Farm Labor Contractor Bond. In the event that you lose your bond, your license will be invalid and you may not continue to operate as a labor contractor until you are able to obtain a new bond. Any individual or company operating as an intermediary between farms and contract workers in California are required to hold a Farm Labor Contractor Bond for the duration of their licensed business operations. If you are applying for, or renewing, a license to operate as a Farm Labor Contractor, you are required to hold this bond the entire time your license is active. Your premium for a Farm Labor Contractor Bond is dependent on a combination of business information and your credit score. Depending on your payroll amounts, the bond amount may be for $25,000, $50,000, or $75,000. With an optimal credit score, this bond may cost as little as $375/year. Apply now for a free quote. Our application process is quick and easy. Simply input your business information into our online application, or you may download a .pdf application and submit it to apps@southcoastsurety.com. Once you submit your application, your quote will be delivered between 24-48 hours.